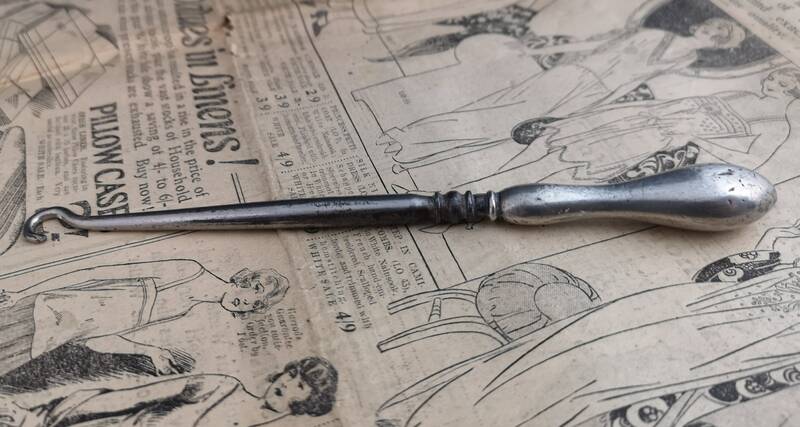 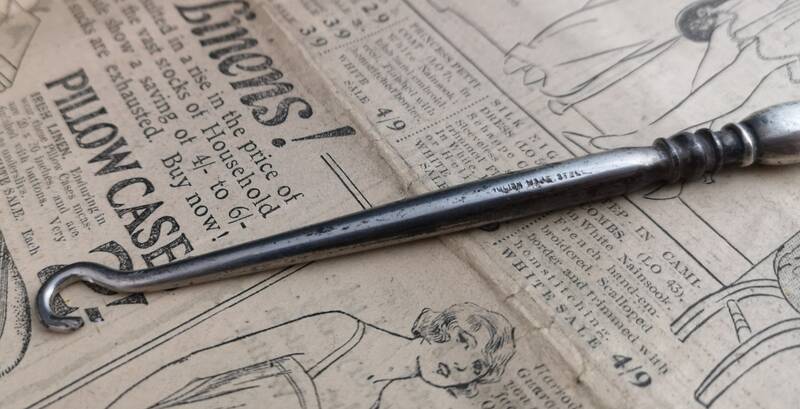 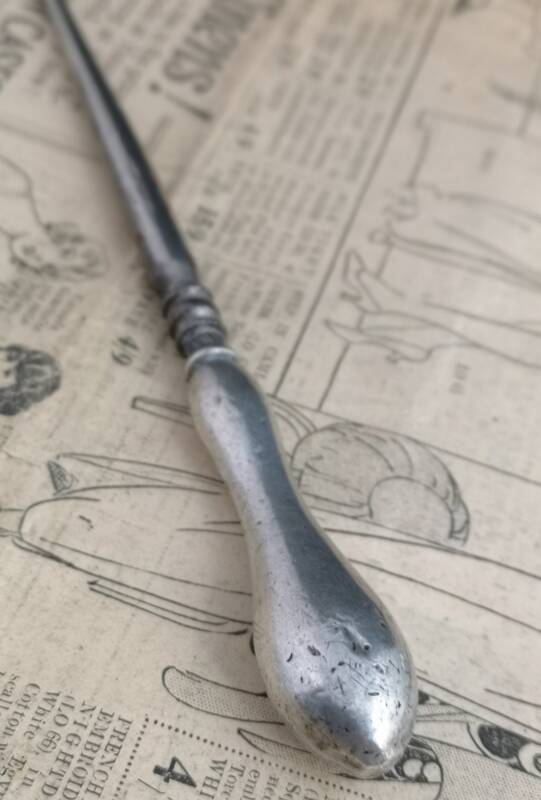 A Victorian silver handled button hook. 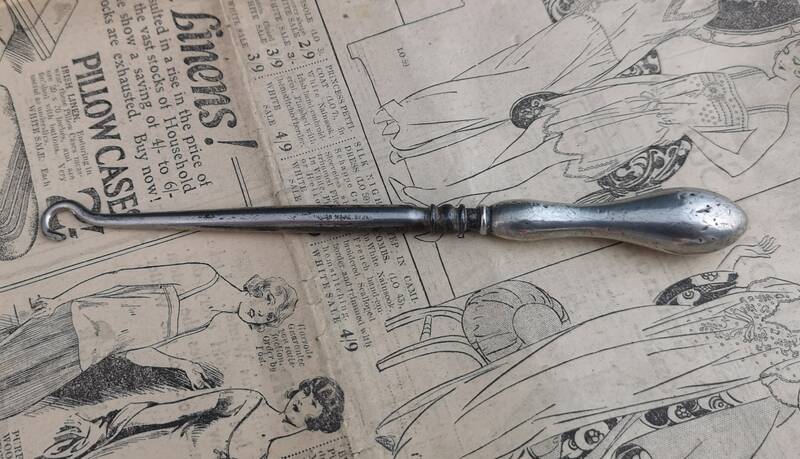 Lots of wear and ageing it has a very shabby chic feel to it and I'm sure has seen some things. 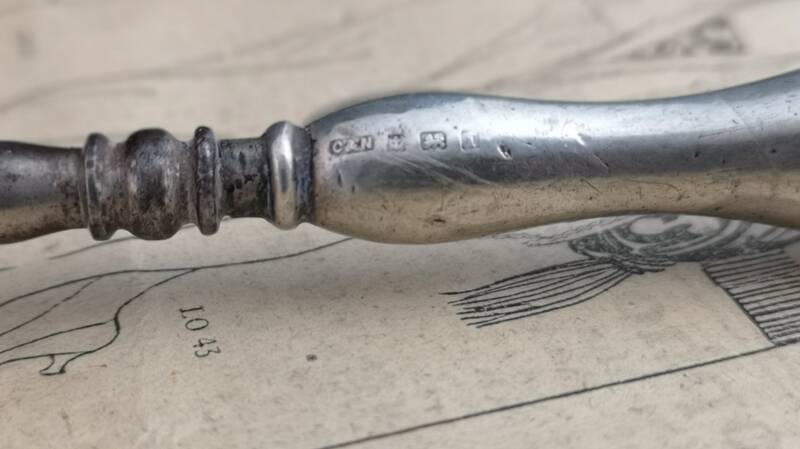 Hook is made from steel and stamped on the side, the handle is sterling silver, fully hallmarked Birmingham 1897, maker is Crisford and Norris.